Naming the terminals at most airports is easy – flights inside your country use the ‘domestic’ terminal, and flights to other countries use the ‘international’ terminal. But at the airports in and around China, things get a little more complicated. 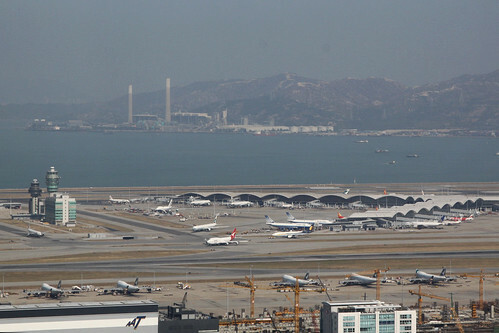 Hong Kong International Airport says it all in the name – as the only airport in Hong Kong, it doesn’t have any domestic flights. 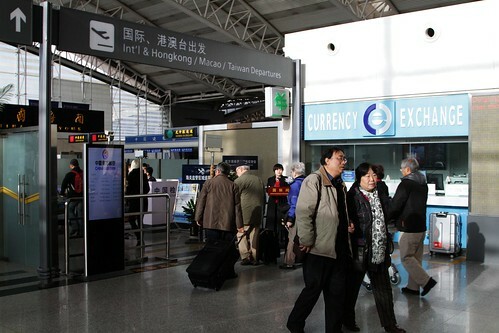 But across the border in Mainland China, the word games start at the international terminal, where the signs read ‘International, HK, Macao and Taiwan Departures’. The reason for Hong Kong and Macao being singled out is their status as a Special Administrative Region of the People’s Republic of China – under the One China, Two Systems principle they have their own separate passports, customs territory, and immigration policies. 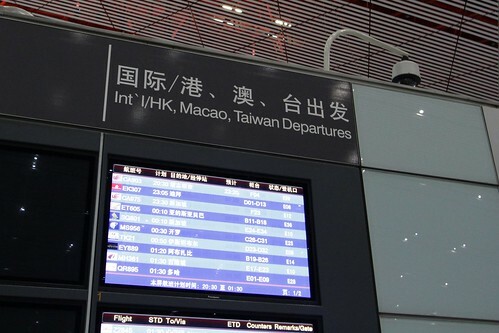 As a result, any resident of Mainland China can’t just walk onto a flight to Hong Kong or Macau – they need to apply for a ‘People’s Republic of China Exit-Entry Permit for Travelling to and from Hong Kong and Macau’ before they are allowed out of the country. While Taiwan is an even more complex situation – the Republic of China of the island of Taiwan consider themselves a sovereign nation, while the People’s Republic of China considers the island a renegade province. 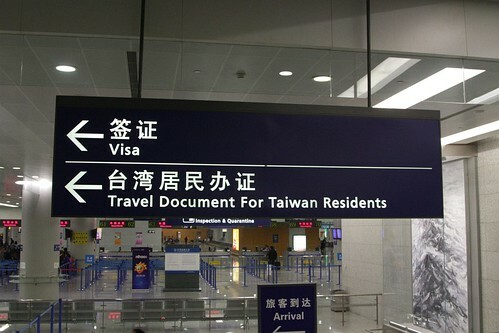 A side effect of this mutual repudiation of nationhood is that the two countries refuse to accept each other’s passports, so any Taiwan Nationals arriving into mainland China have to apply for a special ‘Mainland Travel Permit for Taiwan Residents’, and mainland Chinese headed in the reverse direction have to apply for a Republic of China ‘Exit & Entry Permit’. Wikipedia has more detail on the Special Administrative Region of the People’s Republic of China and the One China, Two Systems policy they are subject to. It also has a primer on the political status of Taiwan, and more about the tongue twisters that are the ‘People’s Republic of China Exit-Entry Permit for Travelling to and from Hong Kong and Macau‘, ‘Mainland Travel Permit for Taiwan Residents‘, and Republic of China Exit & Entry Permit. How many ferry routes are there in Hong Kong? 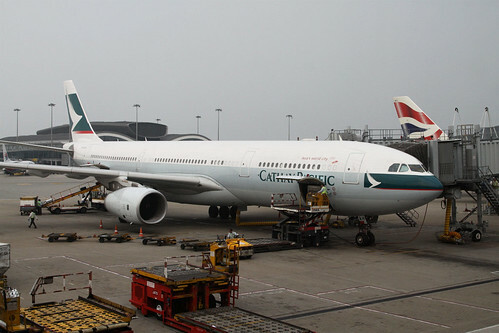 This entry was posted in Transport and tagged aviation, Beijing, China, Hong Kong, Hong Kong International Airport, immigration, Macau, Shanghai, Taiwan. Bookmark the permalink. Ah yes, the infamous various permits for travel between China and Taiwan or China and the two SAR’s. This isn’t where the fun and games end. For those resident in Hong Kong, depending on whether they are PRC citizens settled in Hong Kong or Hong Kong residents who aren’t PRC citizens (And that in itself is complex), you have to get either a Hong Kong Re-entry Permit or a Mainland Travel Permit for Hong Kong and Macao Residents to travel from Hong Kong to the Mainland. As an Australian citizen all I needed to enter Mainland China was a Chinese Visa – much easier to understand! In some ways I’m even luckier as I don’t need a visa. Due to various reasons, mostly my parents being born in Hong Kong and me being born in a certain point in team, I have an ID card with the “Right to Land” in Hong Kong and even before we ascertained that being a British citizen I had the option of a 180 day waiver on my passport.